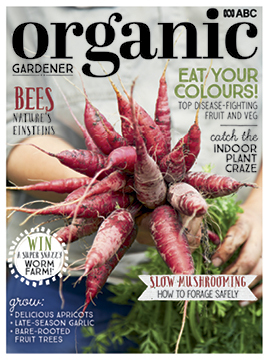 The latest issue of Organic Gardener is filled with great ideas for your home and garden! 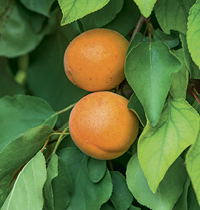 Learn all about the health benefits of delectable apricots as well as how to grow and care for them. Also, we look at how to forage for edible fungi safely while having a minimum impact on the surrounding environment. Plus, how a diversity in garlic cultivars will help cope with the effects of climate change and the health-promoting components in the colours of fruits and vegetables we put on our dinner tables. 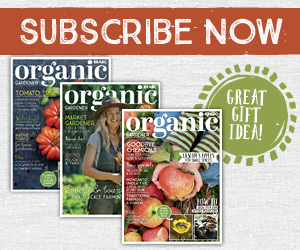 There's much more to read, plant and grow this autumn, so get a hold of an issue and get started! Justin Russell reveals the health benefits of delectable apricots. Plus how to choose, grow and care for them. 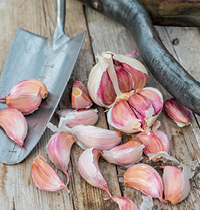 Penny Woodward says diversity in garlic cultivars will help cope with the effects of climate change, while new research bolsters already strong health credentials. Honeybees are the generous Einsteins of the insect world, writes Reese Halter, with marvellous brains and human-like behaviour. In autumn and winter, deciduous trees are sold bare-rooted offering bigger variety and cheaper prices. Helen McKerral tells how to select, prune and plant bare-rooted tress to provide beauty and productivity. 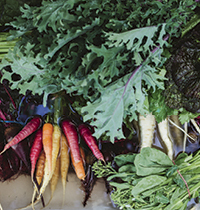 Getting out in your garden provides fresh food, fresh air and a chance to improve your health, especially when you know what to plant and when. 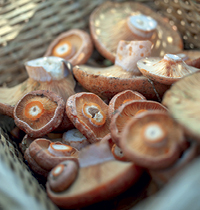 Fungus expert Alison Pouliot explores the rise of foraging for edible wild fungi in Australia with a guide to how to do it with little impact, and what to watch out for. Lentil Purbrick investigates the secret health-promoting components in the colours of fruits and vegetables and how you can get more into your diet. Penny Woodward talks to Bruce Pascoe about his award-winning book Dark Emu, which challenges assumptions that Aboriginal people didn’t farm the land. 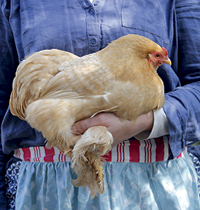 Make the most of your pumpkin harvest with recipes from Maeve O'Meara's latest book. Simon Webster investigates the best options for energy-efficient hot water systems, such as the latest heat pumps. A new book tells how to cut down on plastic in your home. 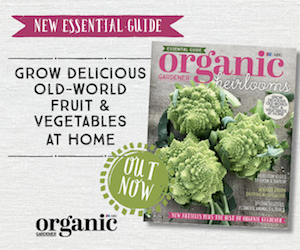 Organic market – latest chemical-free products. with health benefits to plant in your garden now. and gardens as the long dry stretches on. 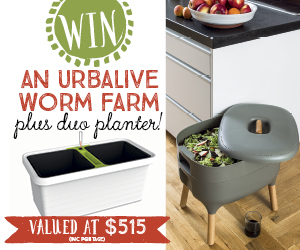 Competition – WIN an Urbalive worm farm plus Duo planter valued at $515 (inc postage).